The address of the preset rental office 'Dubai - Airport': Dubai Int’L Airport, Dubai, Dubai, Dubai, Emirates. -use the map of Dubai on this page. Search for deals. Rental companies in 'Dubai - Airport' frequently provide great offers. 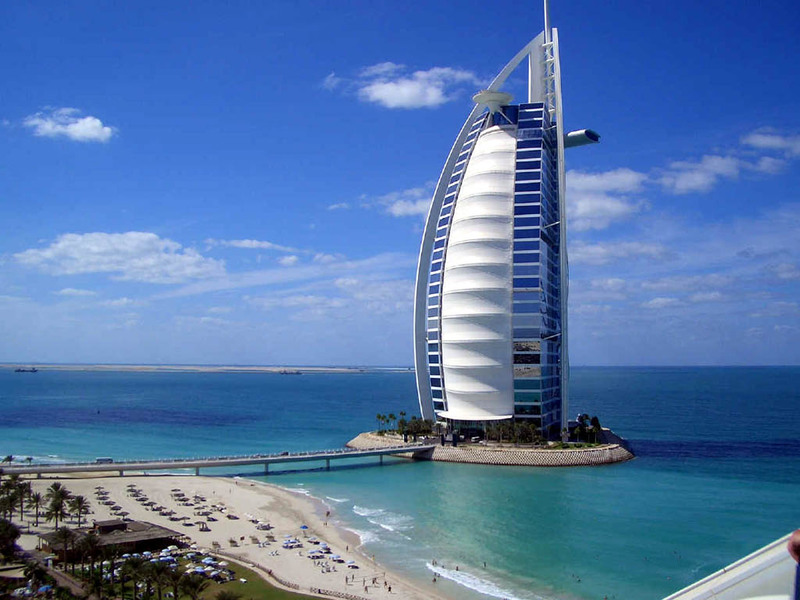 You can monitor the search results for best deals in Dubai for several days. Another way to reduce a rental price is to book a car few months in advance. Finally, car offers with day-time pick-up and drop-off are much cheaper than night rentals. Reservation. While completing the booking form, verify the correctness of your personal data, to avoid confusions at the rental desk in 'Dubai - Airport'. At the same time, pay attention to the rental conditions. Each vehicle in Emirates is provided with its own rental conditions, available by the link below the car photo. Pick up. Be in time for the car pick-up. If you are too late, without notifying the office in 'Dubai - Airport', an officer may release your vehicle to another client. In case of a delay, we recommend making a call to the desk in Dubai a few hours before the pick-up time. The number of the desk is given in your voucher. Rental location. Recently, rental parking areas in Emirates have been moved away from airport terminals. For such situations, rental offices in 'Dubai - Airport' are obliged to provide a shuttle bus from the terminal to the rental area. Payment. Rental payments in 'Dubai - Airport' are made exclusively by credit cards. Cash, debit cards and Internet cards are not accepted. Prior to pick-up in Dubai, make sure that your credit card account has sufficient funds for an insurance deposit. We wish you great holidays in Emirates and fantastic discoveries in Dubai! OrangeSmile.com in cooperation with CarTrawler offers a 'hire-it-yourself' car rental service for most of the locations in Emirates. Simply select your desired vehicle type and rental period in the left orange form, and we will find and provide you the all available offers in Dubai at best prices. Instant confirmation, absence of any service charges and fees, as well as a quick customer support are the additional advantages of our service. Dubai International Airport or DXB is one of the two largest airports of Dubai. It is located southeast of the city centre. Before DXB became operational, Al Maktoum International Airport had been the largest one in the United Arab Emirates. At present the passenger traffic of Dubai International Airport makes up about 80 million people per year. It started functioning in 1960. The airport comprises 3 passenger terminals and 2 runways. Terminals 1 and 3 are connected to each other by a common transit zone. The building of Terminal 2 is situated at a considerable distance from the others. That is why the bus service operates between the terminals. The terminal for VIPs is beside Terminal 2. The volume of freight traffic amounts to up to 3 million tons per year. The airport is connected with the city of Dubai by D 89 road. It intersects with D 85 and E 311 roads. Besides, two underground lines (the red and green ones) run through DXB. The metro stations are found in the arrival areas of Terminals 1 and 3. What is more, a bus service is available between the airport and the city. The bus stops are placed in front of the terminals. Buses number 4, 11, 15, 33, 44 link Terminals 1 and 3. Bus number 2 goes from Terminal 2. Buses carry passengers both to the city centre and city hotels. 24-hour taxi service is accessible in the arrival area. A shuttle will take all comers to hotels and recreational facilities. The airport has an advanced car rental service. You can rent a car with the help of the services on the website of the airport or other similar ones. All the companies, providing vehicle hire services at DXB, offer a wide range of cars from reasonably priced options to premium-class ones. Such known car rental companies as Avis, Sixt, Thrifty, Hertz, Budget, Alamo, Autorent, W&B, Dollar, International Supplier, and Max operate at the airport. The customers of the majority of large companies including Avis, Budget, Thrifty, Alamo, Hertz, and Dollar receive the leased car in the parking lot of the terminal. The employees of such firms as Sixt, Autorent, W&B, Cargets, Paddock, and Max meet the clients at the airport. These companies also deliver the vehicles to the place of receiving. There are restrictions on renting cars of premium-class and SUVs for the clients under the age of 25. The site of returning a car is specified in the process of booking or drawing up a rental contract. You should take into account all the additional payments, such as insurance fees, liens, and other charges in advance. They may not be included in the rental cost. It is recommended that you should have an international driver’s license, though a domestic driving permit will be enough for certain car rental companies, if it contains entries written in Latin script. The companies may accept both debit and credit cards. Crossing the border by car is allowed only in case you have a permission, confirmed by the vehicle rental company in good time. The airport comprises parking lots, which are divided into short-term and long-term ones. One is allowed to leave a vehicle in the short-term car park for no longer than 5 hours. The parking lots are found just in front of the passenger air terminals. Those passengers, who intend to leave their cars for a longer period, should prefer the long-term parking lot. The car parks are located within the walking distance from the terminals, though they can be reached by a free airport shuttle that runs through the territory of the airfield. There are several hotels of different service levels beside the airport. These are Dubai International Terminal (situated in the transit zone); Le Meridien (1.1 km), and Millennium (1.3 km).